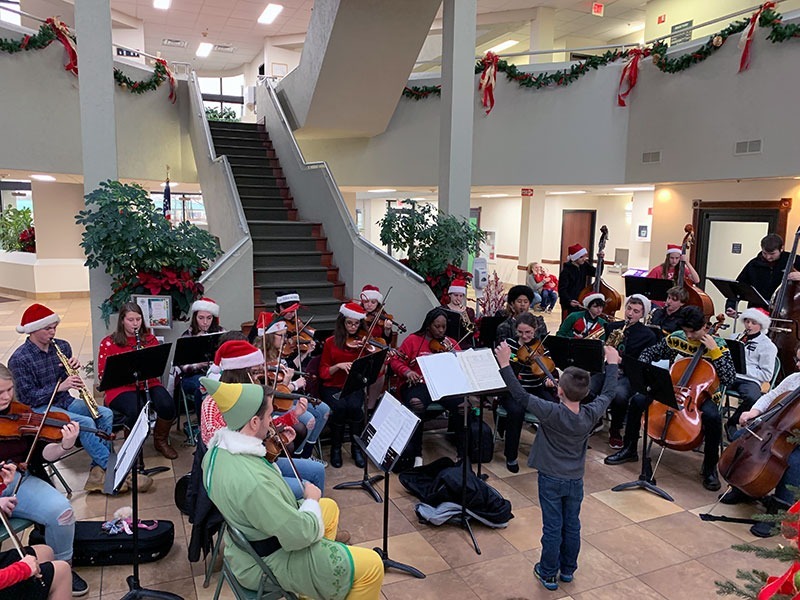 December 18, 2018 -- The holiday spirit is alive in Toms River Regional Schools as students, staff, and families celebrate all the joy and excitement that surrounds the season. 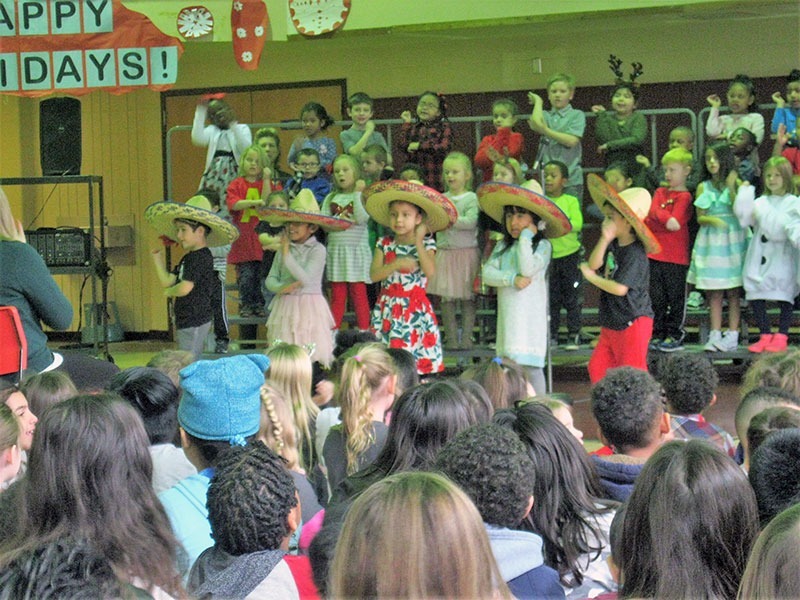 Posted below is a photo gallery of holiday-inspired scenes from throughout the district. Be sure to check back often for updates. 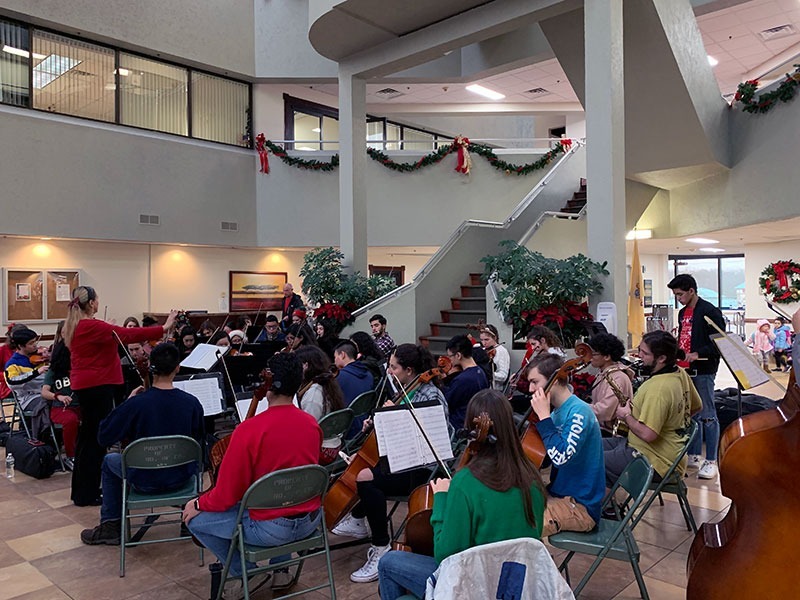 Students and staff at the district's administration building enjoyed hearing holiday musical selections from High School North's orchestra. 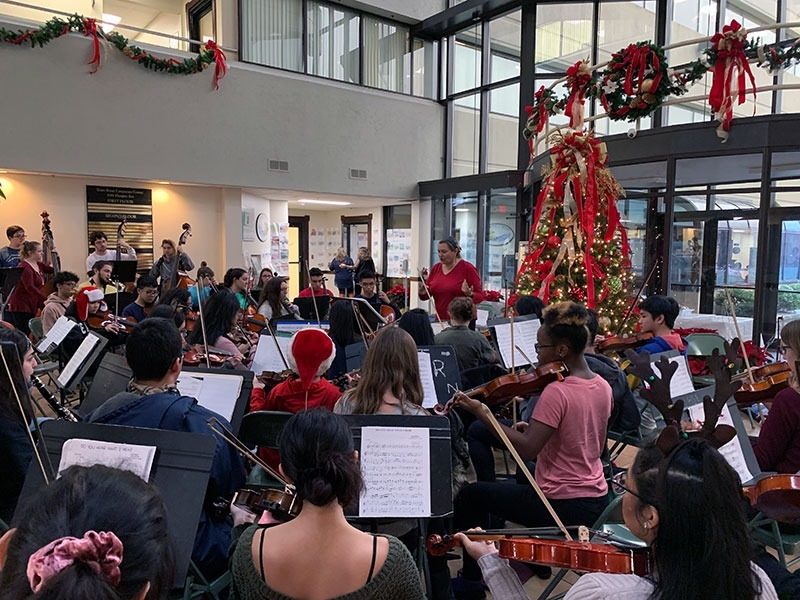 High School South's orchestra filled the atrium at 1144 Hooper with sounds of the season. 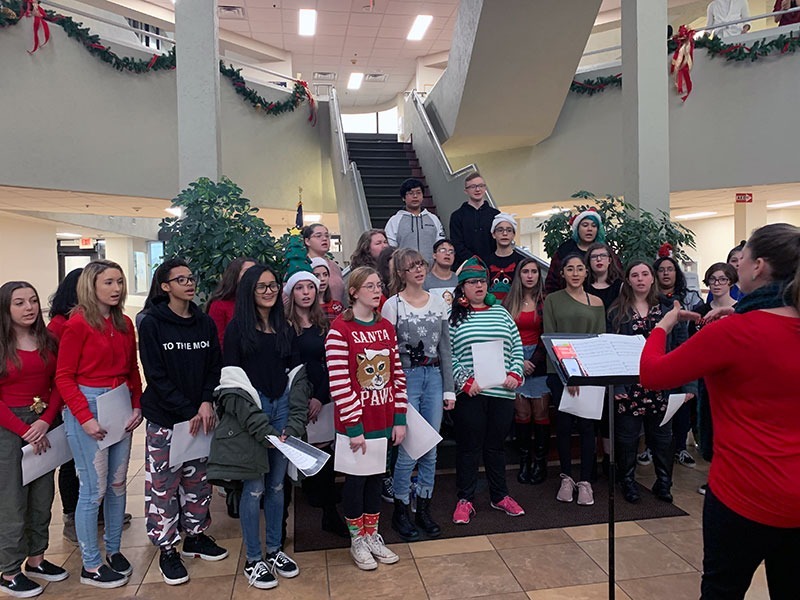 The High School East chorus traveled to the administration building on Hooper Avenue to sing holiday selections for students and staff in the building. 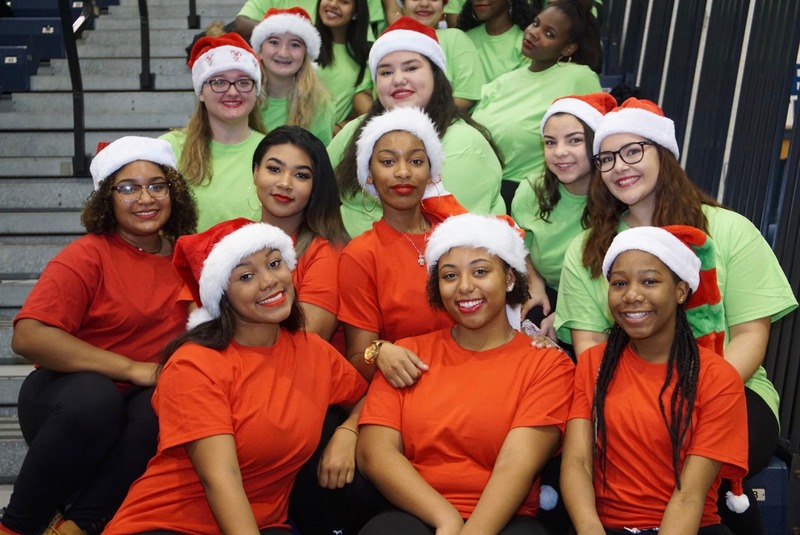 The Toms River North Step team, N Step, wishes everyone the best this holiday season. 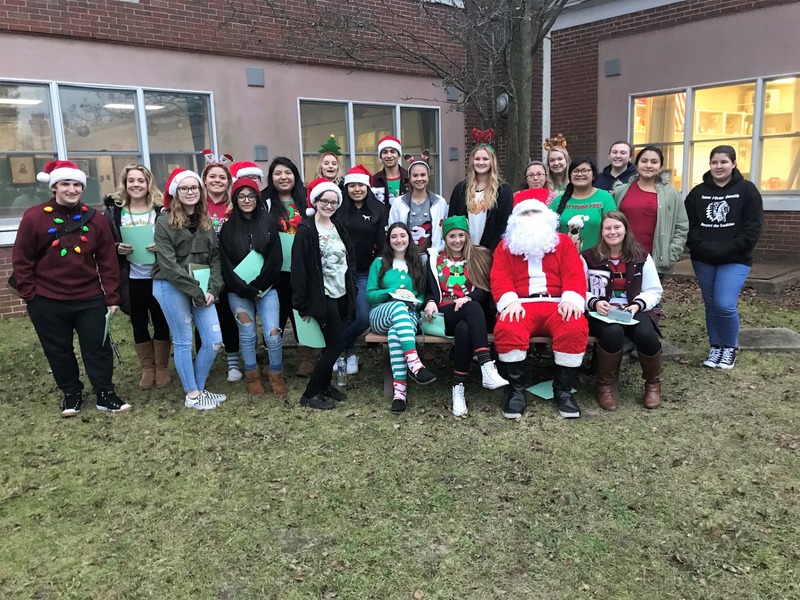 High School East’s physical education department organized the Jingle Bell Fun Run fundraiser for hydration stations for all students and faculty in the building, which raised more than $1,500 in two days. 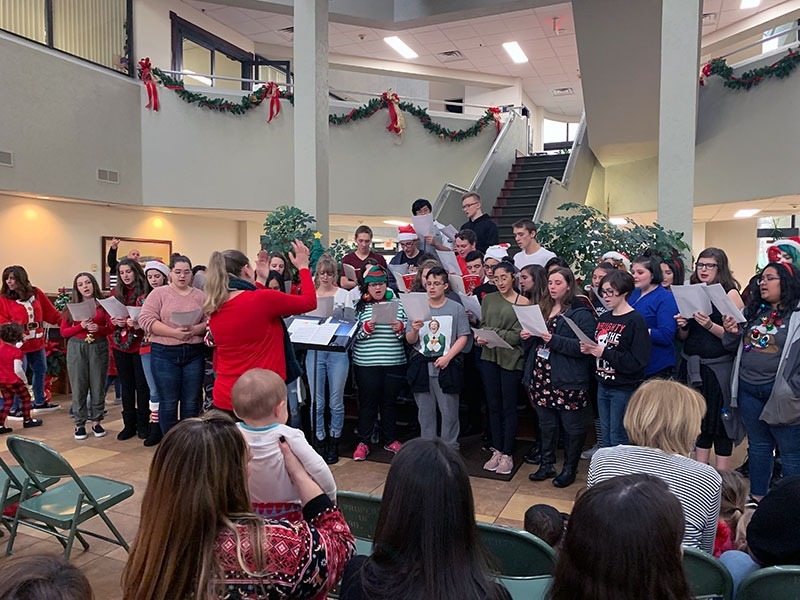 The Spirit Club and mascots from High School South went to Children’s Specialized Hospital Dec. 17 where they sang Christmas songs, read "Twas the Night Before Christmas" and distributed gifts to each child at the hospital. From there they went to the Hampton Ridge Nursing Home and sang Christmas songs with residents. Silver Bay’s fifth-grade Peer Leader Ambassadors helped residents at Brandywine Assisted Living in Toms River make gingerbread houses and decorate an assortment of holiday cookies. The students and seniors had lots of fun building and decorating, and afterwards they enjoyed hot chocolate and cookies. 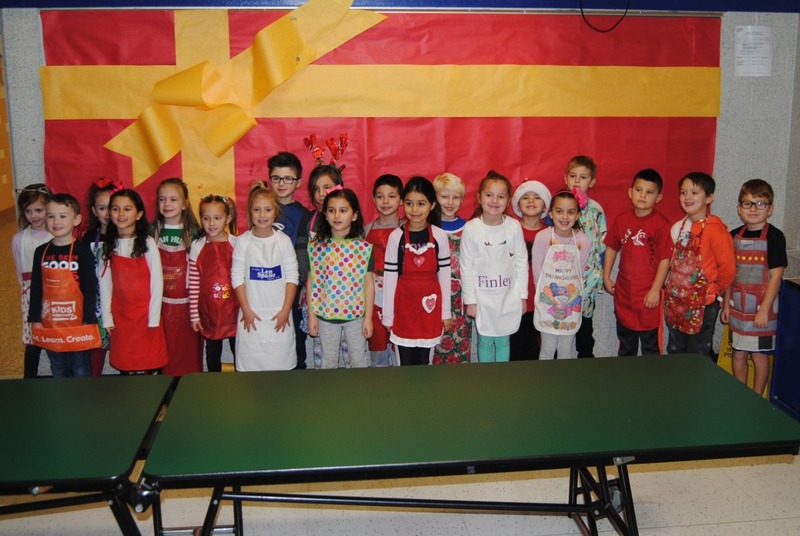 First graders at Hooper Avenue Elementary enjoyed decorating gingerbread cookies. 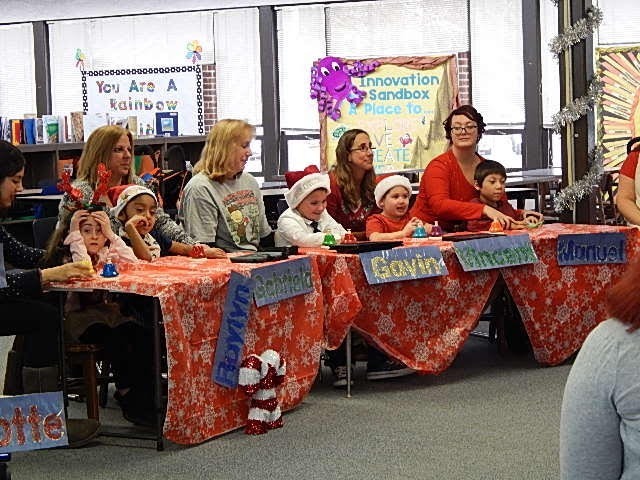 South Toms River Elementary kindergarten students performed a holiday show. 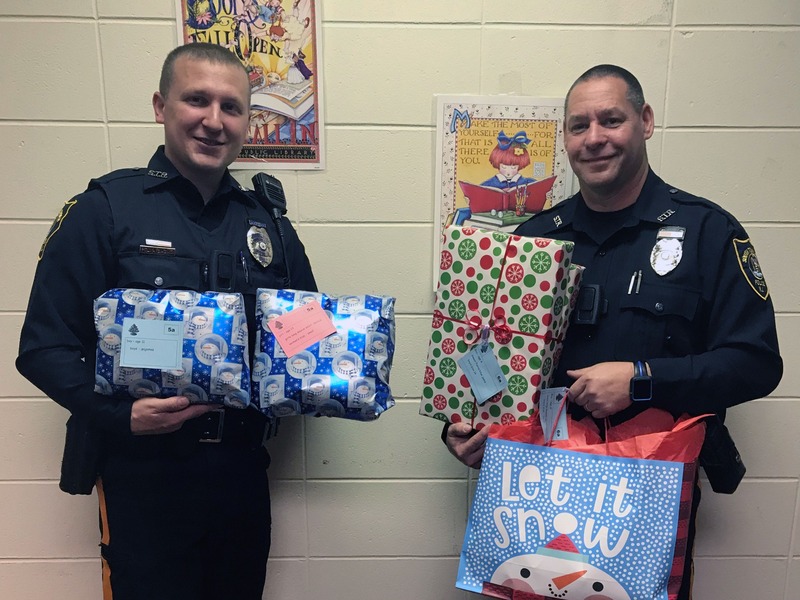 The South Toms River PBA donated gifts to families in need at South Toms River Elementary. The gifts were delivered by STR Resource Officer Wray Burritt and Ptl. Officer Anthony Giacinti. 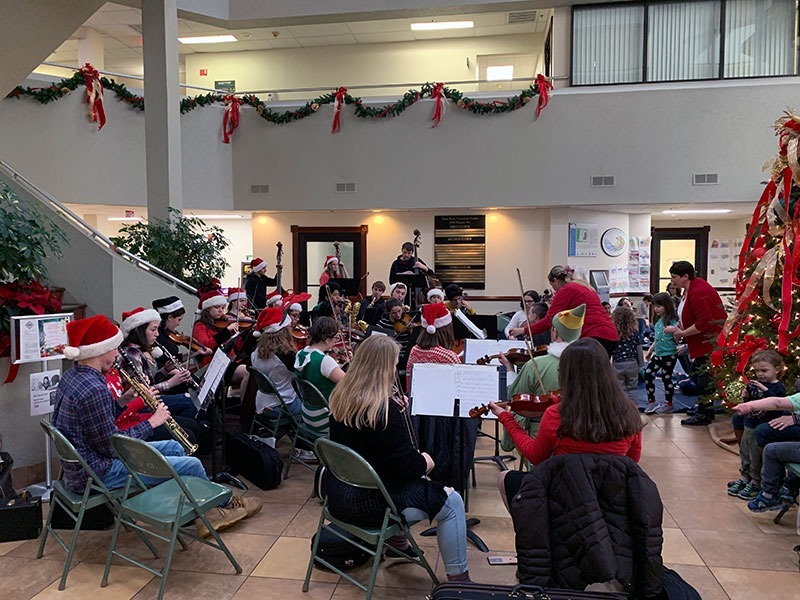 Silver Bay Elementary recently hosted its 3rd annual holiday desk bell concert. 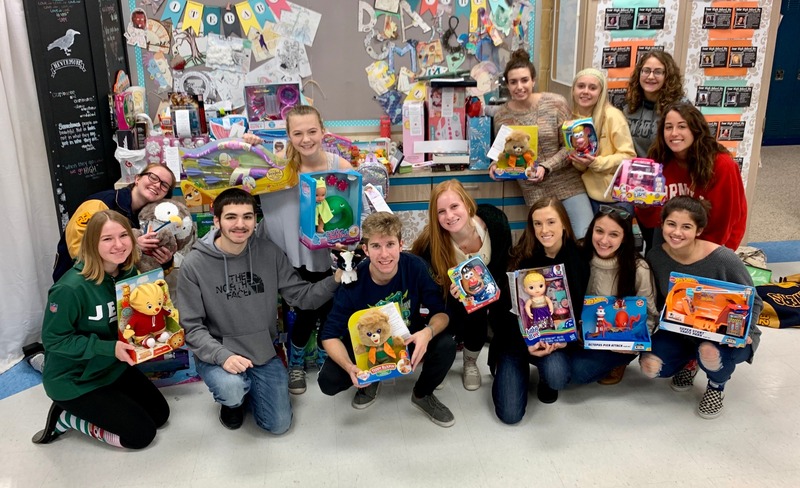 Intermediate East's Impact Club continues to spread holiday cheer! The members engaged with residents at Hampton Ridge Rehabilitation Center, creating holiday ornaments and singing holiday songs. The Beachwood Elementary chorus performed a holiday show for their classmates and staff. 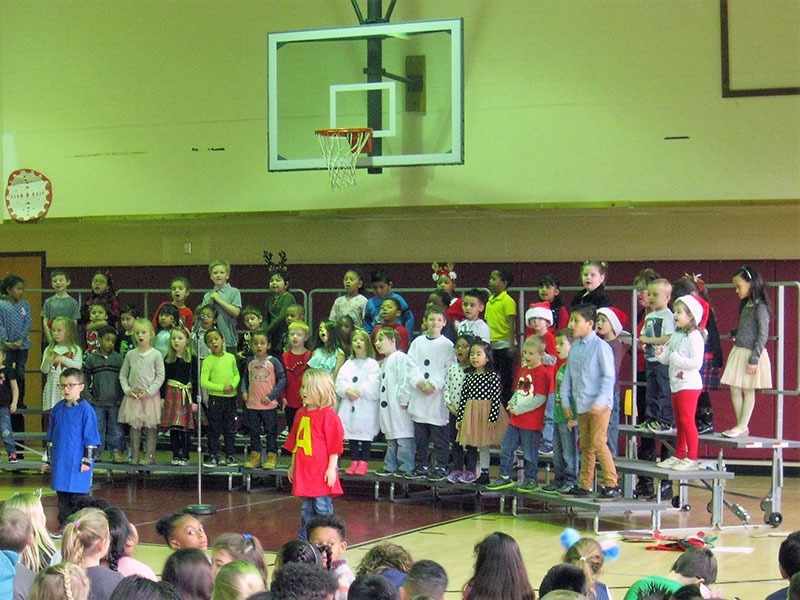 Students at Hooper Avenue Elementary performed a winter concert.